Born on August 29th, 1958 in Gary, Indiana, Michael Joseph Jackson was an extremely famous and influential singer, songwriter, music and film producer, dancer, businessman, actor and philanthropist. For over four decades, his legendary music albums and live performances coupled with his intensely publicized and controversial personal life, unique fashion style and his significant donations to various charities made Michael Jackson one of the most renowned figures in pop culture. His 1982 album entitled ”Thriller” is considered the best-selling album of all time and Guinness World Records acknowledges Michael Jackson as the most successful entertainer of all time. Throughout his long musical career, the famous American artist, often referred to as the ”King of Pop,” paved the way for modern pop music and revolutionized the art of music videos. To this day, his musical work continues to influence and inspire artists of all music genres. He won thirteen Grammys and also the Grammy Legend Award in 1993. 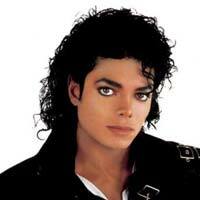 Even after his death, he became the best-selling artist of 2009, selling over 35 million albums worldwide. The eighth of ten children born to an African-American middle-class family, Michael started to perform from the early age of 5 as the lead vocalist of the Motown group The Jackson 5. Members also included his four older brothers Tito, Jermaine, Marlon and Jackie. The group was assembled by their father, steel worker Joe Jackson, whom Michael holds responsible for his difficult and painful childhood. Joe frequently whipped and verbally abused Michael. He also stated that would often vomit before meeting his father. His mother, Katherine, was a devout Jehovah’s Witness and kept the family isolated from any outside influence. Nevertheless, during the famous interview with British journalist Martin Bashir, Michael Jackson admitted that the strict discipline enforced by his “genius” father played a key part in the unparalleled success of The Jackson 5. They were an instant phenomenon, appealing to both white and black audiences and becoming the first group in music history to have their first four singles hit number one on the Billboard Hot 100 chart. Michael s innate talent and childlike charisma made him the most loved member of the Jackson 5. In 1978, on the set of the musical ”The Wiz,” in which he starred opposite Diana Ross, Michael Jackson met the famous record producer Quincy Jones, who co-produced with Michael his first solo album entitled ”Off the Wall.” It released in 1979 under Epic Records and has sold 20 million copies worldwide. His first solo single ”Don t Stop Til You Get Enough” was certified platinum and it won Jackson his first solo Grammy. In the same year, Jackson underwent an unsuccessful rhinoplasty after breaking his nose during a dance routine. His second rhinoplasty, as well as his other cosmetic surgery procedures, were performed by the famous plastic surgeon Steven Hoefflin, who has also carried out plastic surgery for Elizabeth Taylor and Joan Rivers. Although his gradually changing appearance gained extensive media coverage, Michael Jackson stated on numerous occasions that his lighter skin tone was not caused by bleaching procedures, but by a skin condition he suffered from, namely vitiligo. His next musical project, ”Thriller,” released in 1982, saw Michael Jackson, sporting his signature crystal studded glove and ”moon walking” his way towards becoming the best selling artist of the 1980’s. This epic studio album received in 1984 a record-setting eight Grammys, including ”Album of the Year,” and it features iconic singles such as ”Beat It,” ”Billie Jean,” ”Human Nature” and ”Thriller.” The groundbreaking, 14-minute long music video for “Thriller,” directed by John Landis, became one of the greatest music videos ever made. His following iconic music albums such as ”Bad” (1987), ”Dangerous” (1991), ”HIStory” (1995) and ”Invincible” (2001) have also made history, being accompanied by memorable, legendary world tours and selling millions of copies worldwide. The most famous pop artist of all time passed away at the age of 50, on June 25th, 2009, in his rented Holmby Hills mansion in Los Angeles, California. His personal physician, Conrad Murray, failed both to resuscitate Michael and to call the paramedics in due time. The cause of death was cardiac arrest due to acute intoxication with propofol ( administered intravenously by Murray himself) and benzodiazepine ( a sleep-inducing drug). Michael Jackson had asked Murray to administer him medication that would help him sleep in order to be able to rehearse properly. He was preparing for his comeback concert tour entitled “This Is It.” On August 28th, 2009 the Los Angeles County Coroner ruled his death a homicide; on February 8th, 2010 Conrad Murray was convicted with involuntary manslaughter. Michael Jackson’s memorial took place at the Staples Center on July 7th, 2009. He was buried on September 3rd, 2009 at Forest Lawn Memorial Park in Glendale, California. The King of Pop was survived by his three children: Prince, Paris and Blanket.